A few months ago, I left the University of Birmingham (in England) behind to spend a semester studying abroad in Minnesota, USA. As you can imagine, studying abroad in America has given me a bit of culture shock. But it’s also been an eye-opening experience. Over the past few months, I’ve spent some time soaking up American fashion and observing how it differs from what we wear in England. And today, I want to share what I’ve learned with you. Before I get started, I want to point a few things out. First, while I have done lots of research, most of the information is based on my own experiences. Second, most of the research I came across on this subject was very, very stereotypical and because of that, parts of this post may follow suit. Finally, keep in mind that I am studying abroad in a northern Minnesota city. While I love it here, I know it is not the fashion capital of the world. I know fashion differs from state to state, and I’m sure what I see here in Minnesota is a world away from what I’d see in New York. So, to sum it up, I know there are many, many exceptions to these ideas, and this article is not meant to suggest that everyone in either country dresses the same way. I’m not trying to lump people into categories – my aim is simply to lay out the overarching style themes I have noticed while studying abroad here in the US. This was precisely how I felt when coming to the US. I’d heard that our high street was famous around the world, but as I would shop there on an almost weekly basis, I had no idea that it was so special. I’d heard of fashion elsewhere was different and we were much more eclectic and unexpected in England. But I didn’t realize how different fashion would be until I got to the US. British fashion has always been acclaimed for its “fearlessness” and Brits are famed for their individual sense of style. We’re often described as having a “thrown-on” feel to what we wear. We mix prints, patterns and styles and many girls pull this off effortlessly. In my experience, the key to British style is never looking too polished. The festival look is popular year-round – think bed-head hair and vintage-style pieces. Also, as Emma Watson said in that same interview, we’re governed by the weather in this country. We wear our skirts and shorts with black opaque tights, and flip flops are replaced with plimsolls. Colleen was definitely right when she said British style is “girly but definitely has an edge to it”. This is how I would categorize British style, and my own personal style, too. I didn’t realize until after I’d made this collage, but you could easily mix and match nearly all the items here. The floral dress could be worn with the trench or the blazer or the leather jacket – florals and leather are a popular combination in England. The dress could be worn with tights and boots or tights and plimsolls – or even the rain boots. If you want more info on British fashion staples, make sure you check out this list of 50 Things Every British Girl Should Own. The tea dress is a style staple – even better if it’s vintage! Recently voted the best dressed woman of 2010 by Harper’s Bazaar, British actress Carey Mulligan mixes classic ’50s chic with modern designer pieces. And her style is all her own – she famously turned down Anna Wintour’s advice to wear a short dress to the Oscars. Carey’s style is tailored, yet ladylike, and her daytime style is simple but eclectic. Alexa exemplifies the archetypal British style – eccentric, fun and edgy. She mixes her girly pieces with tough leather jackets and always looks utterly effortless. Her festival-chic style really demonstrates the just-threw-this-on side of British style. And what list of stylish Brits would be complete without Kate Moss? The woman who started the skinny jeans and ballet flats trend is always effortlessly stylish, and yet her model-off-duty look is also completely wearable. She is a huge fan of layers, as well as mixing textures and prints. In my experience, the most popular stores in England include, of course, the ultra-famous Topshop. But if you’re shopping in England, don’t forget to check out Miss Selfridge, River Island and All Saints, plus Primark and New Look for on-trend bargains. Invest in a few great jackets- especially a leather one and a blazer. Scarves are always a great accessory for keeping you warm as well as stylish. Also, wear tights with everything! 2. Always be prepared for rain! It rains a lot in England, so if you’re spending some time there, always pack a cute umbrella and make sure your shoes are waterproof! 3. Add edgy pieces to a feminine look. Wear leather boots with a lace dress, a studded bracelet with a prom dress or a leather jacket over your tea dress. Even after all these years, British Style still has an element of punk left in it. Keep your hair messy or your eye makeup slightly smudgy to get a real festival feel. Don’t worry if you have a run in your tights- wear them anyway! Mix and match unexpected patterns and textures for a “I just threw this on” look. 5. Be brave and have fun! My favorite thing about British style is that we’re not afraid to have fun with fashion. So wear bright tights instead of black, or pair two loud-print pieces together instead of keeping one simple. Incorporate catwalk trends into your everyday look, and don’t be afraid to rock outlandish items with confidence. From what I’ve gathered in my time here, American style is much more classic and much less trend-focused than British style is. The style here is much more casual, comfort-focused, and laid back. To me, American girls just seem to wear simple pieces with impeccable style. A simple black tank or white t-shirt is always made to look much more interesting with the addition of accessories. Plus, American girls (and guys!) really know how to rock a pair of jeans! First and foremost, I have to talk about denim! Americans have a way of wearing jeans so they don’t look like a last resort; they look effortless and casual. I especially love the way American girls dress up jeans with heels and a nice top for a night out! Above, I chose pieces inspired by clothes I saw on campus here. All the pieces I chose are incredibly versatile and simple, but also cute and classic. Denim shorts seem to be a staple over here in the summer, and of course, the denim jacket is, too. I love that you can do double-denim in a completely cool way, without looking too try-hard! Cowboy boots had to be included, too – we Brits can never seem to wear them without looking like we’re trying to be ironic! Jen’s style is so timeless – it’s simple, yet elegant, and feminine without being too girly. She always looks perfectly polished, whether she is at a premiere or walking her dog. She also always wears classic pieces and chooses dresses that show off her figure, without being too revealing. We all love Whitney’s style because she takes risks without trying too hard. Her look is fun but sophisticated. She loves to mix prints but still has that cool Californian laid-back look, and she can rock a pair of short shorts like none other! Of course, she likes to follow trends, but she knows what suits her and has fun with it. 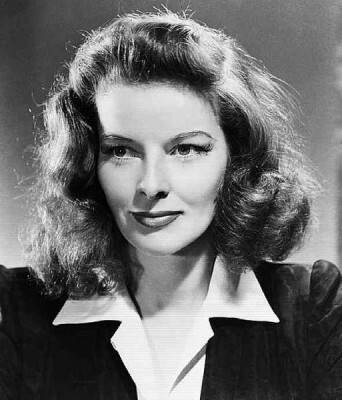 You College Fashion regulars will know we all love Katharine Hepburn’s style. Her look is a mix of old Hollywood glamour and never-outdated menswear-inspired style. She is the epitome of taking something simple, like a plain white button down, and making it look amazing. For me, Katie is the epitome of the all-American girl. She doesn’t try to be a style icon, but she makes a fantastic statement in everything she wears. She rocks a casual look better than nearly anyone else! Her style has definitely evolved from awkward teen to Hollywood royalty. Go for simple pieces but make them your own. We have two great posts here and here on wearing a simple plain white tee in unexpected ways. Simple pieces do not have to be boring! 2. Invest in key pieces. I wrote a piece on the twenty modern classics every girl should own (part one and part two) and I think these pieces are essential to having an easy-to-navigate wardrobe for any occasion. These pieces are the ones you can easily mix and match to create something new and fun, without having to constantly shop. This simplicity is definitely a big aspect of American fashion. 3. Don’t follow every trend. One thing I love about American style is that everyone seems to be so comfortable in their own style – they know exactly what suits them and how to wear it well. To me, American style is all about finding out what suits you and looking good in it, instead of always being swayed by the catwalks. Of course, experiment with trends, but stay true to yourself and your style. 4. Think simple, laid back, and cute. Americans get a lot of flack from Europeans about their style being “boring,” but I love its comfortable and effortless simplicity. It’s more about style than fashion here in the US. In America, it’s not so much about what you wear, it’s about the way you wear it. 5. Think (and shop) outside of the box. The local mall here in Minnesota is an uninspiring array of preppy and plaid, so I love to see girls on campus who dress outside of this. One of the first posts I ever read here at College Fashion was this one, and I also think this one is fab for finding your own style. I have found it’s easy to shop in the same places as everyone else, but I have also found there are amazing items available online in stores you might not have nearby (for instance, Forever 21). So if you find all the stores nearby are too “American” in style, try new places!! What do you think? Are you a British girl loving American style, too? Are the majority of your style influences a different nationality to you? What fashion experiences have you had in other countries? I’d love to hear what you think!